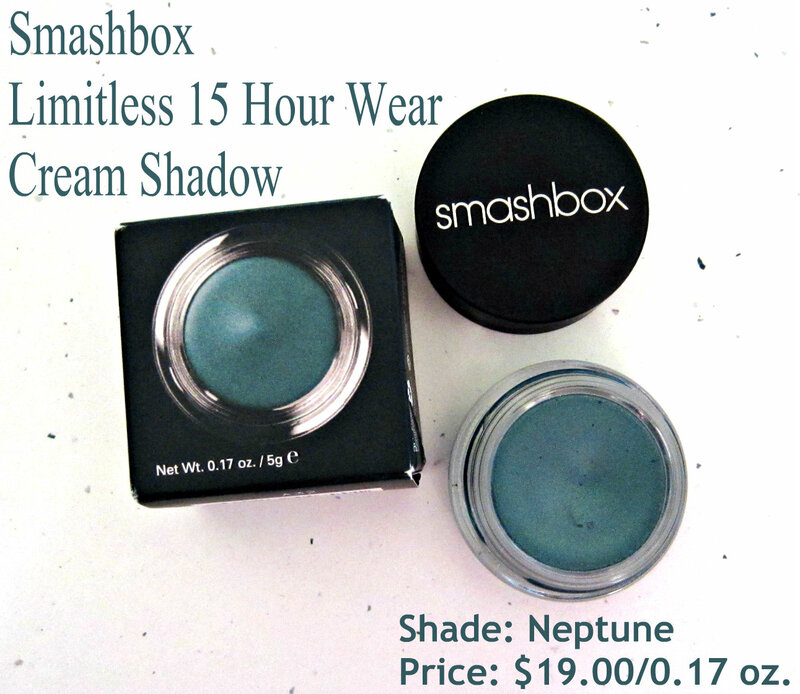 The Smashbox Limitless 15 Hour Wear Cream Shadows have been a "go-to" product for me lately with the warmer temps and high humidity. 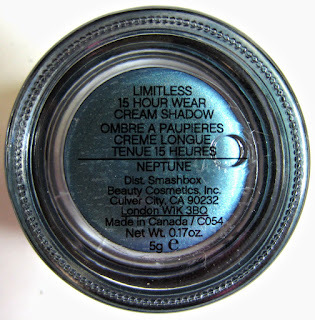 I've been using Neptune as a wash of color when I'm too busy to apply a full eye shadow look, but I'm especially loving it as a liner against brown shadows with my brown eyes. It also works nicely as a shadow color base (over primer) for powdered shadow, adding intensity to the powder. Neptune is a medium vivid teal with charcoal undertones and a touch of gold, and while it appears to have fine sparkle in the pot, it is very subtle in that department on the lid. It sheers out when using it on the lid with a brush, and it's easily buildable for a more vibrant look by patting it on. It's quite intense when used as a liner, but I prefer to blend it a bit when used this way. If you want a brighter look, just line and go! This product comes boxed, and it's housed in a heavy glass pot with a screw-on lid. 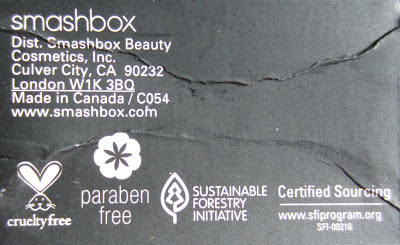 Smashbox is a cruelty-free company. 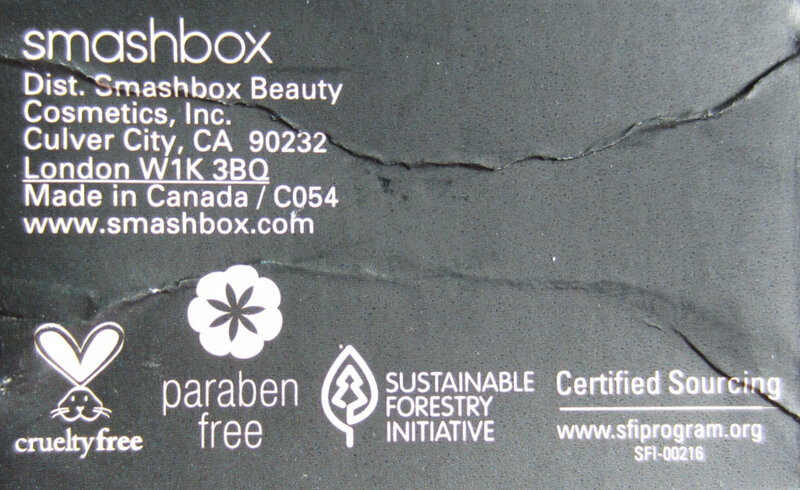 Interesting fact: Smashbox was founded by Dean and Davis Factor, great grandsons of the renowned Max Factor! Above shows the product swatched on paper and skin, and below is a macro shot showing the color's complexity. These shadows come in 12 shades, and as Smashbox describes them, they really are "creamy, vibrant, no caking, no creasing, no flaking, and they hold up against water and humidity". These retail for $19.00 (0.17 oz. 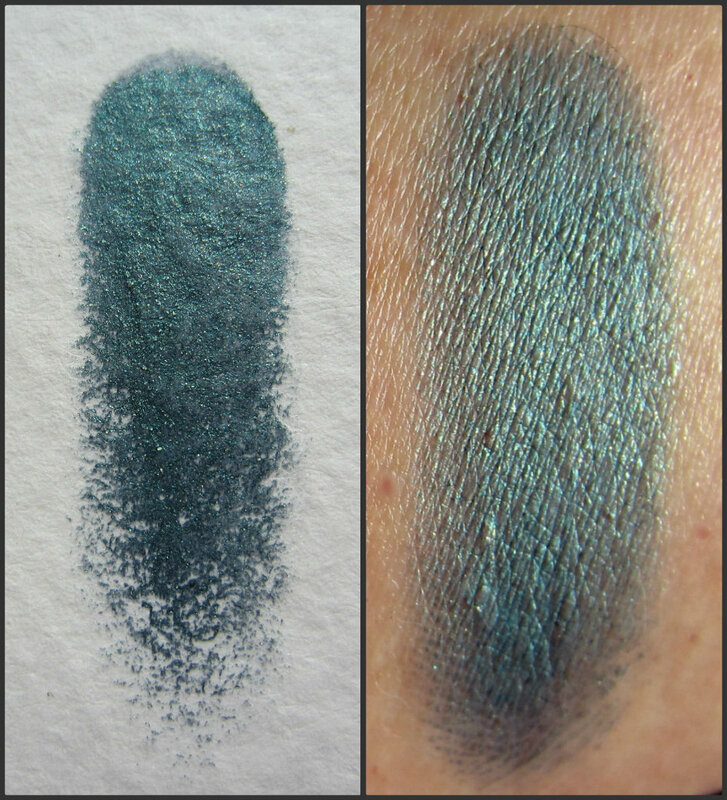 ), and in my opinion, they are comparable to Maybelline's Color Tattoo shadows. The formulas feel and apply similarly, and the lasting time on both is fantastic. I do think the Smashbox product is smoother and creamier, therefore, it blends easier for me. The Maybelline product is quite a bit less expensive and has a wider range of shades, and if you live in a small town like I do, they're more readily available. But if you asked me which one is the nicer product without considering those factors, I'd pick the Smashbox. *Product furnished by the manufacturer or PR firm for editorial consideration. Such a pretty color! I wonder how it'd look as eyeliner? The color of this product seems to be consistent from the jar, to the paper swatch and onto the skin swatch.It seems to have a little shimmer, but it's only subtle. Love the color! I wanna try this one out. The qualities and formula of it are def interesting. I think its worth a try.